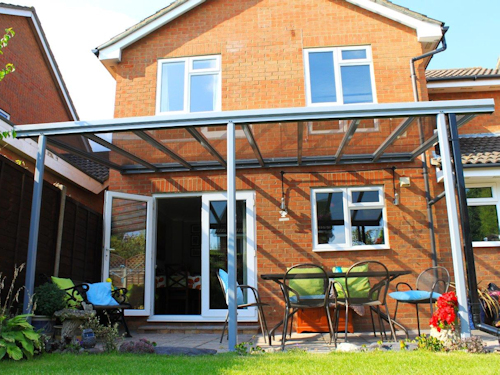 Home›Latest News›Add extra space to your home all year round with our Canopy, Carport and Awning range. 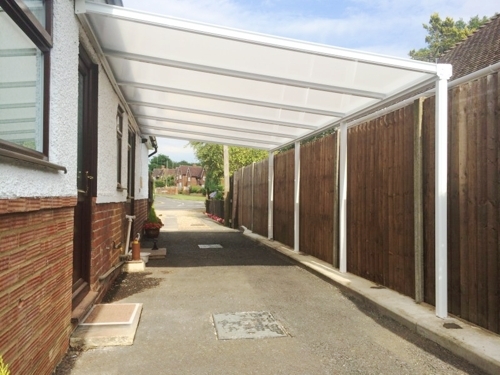 The Knightsbridge 6 & 16 are stylish and inviting wall mounted mono pitched canopies & carports that provide a safe and dry environment in all weather. 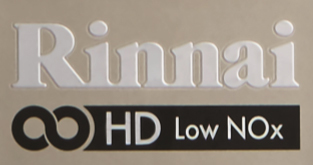 Fabricated from high grade aluminum extrusions when powder coated will give a long lasting, low maintenance, rust free finish. 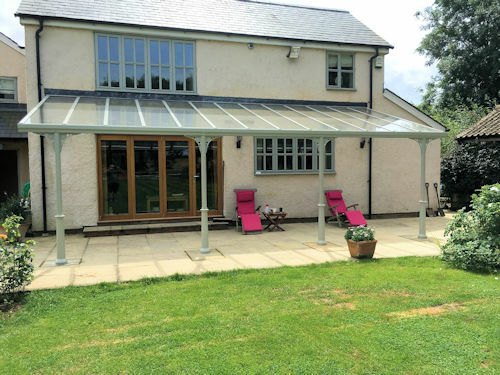 With lighting, heating and Victorian optional upgrades you can create the perfect canopy to add to your home. The Knightsbridge 6 comes with 6mm toughened safety glass glazing that minimizes the noise of the rainfall. Unlimited length and projections of up to 3.2m with 3m meters between posts the canopy will not compromise the view. The frame of the Knightsbridge 6 comes as white or grey as standard but can be powder coated to any colour to match your surroundings. 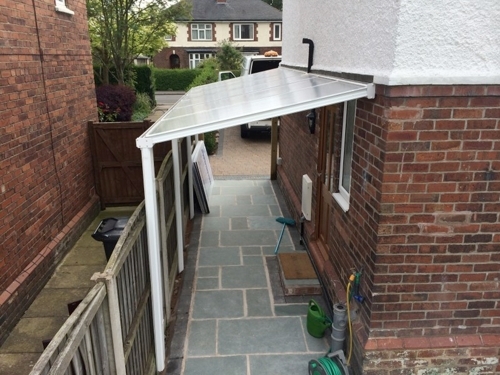 The Knightsbridge 16 is our most cost-effective canopy, glazed in 16mm structured polycarbonate which gives high UV protection from the suns harmful rays. Available in any length and up to 4m projection. 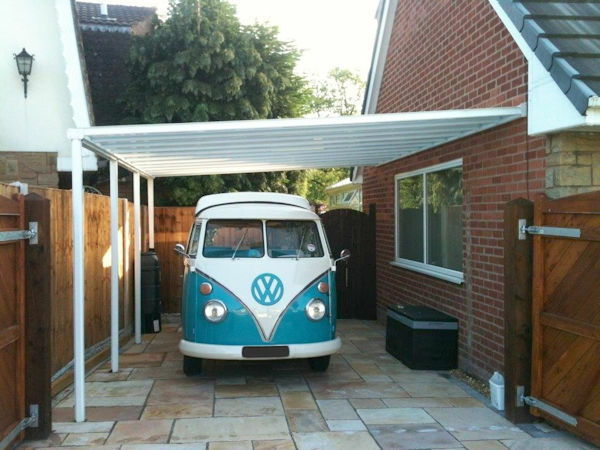 The concealed integral guttering system gives the canopy a clean, chic appearance. The Knightsbridge 6 & 16 come with a full 10 year guarantee and 25 year life expectancy. 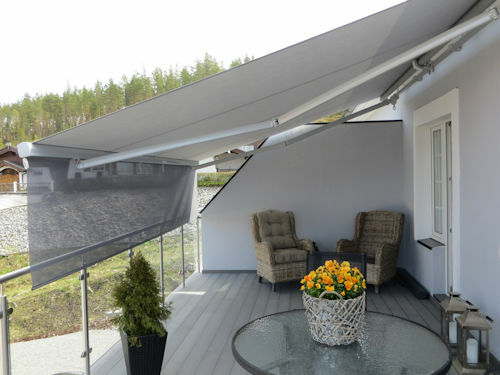 ACE’s Retractable Awning range has different styles of Awning to suit every home or commercial setting. 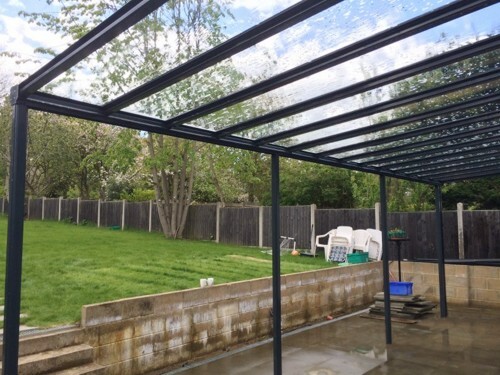 With one push of a button you can create protection from the sun or rain easily and quickly. 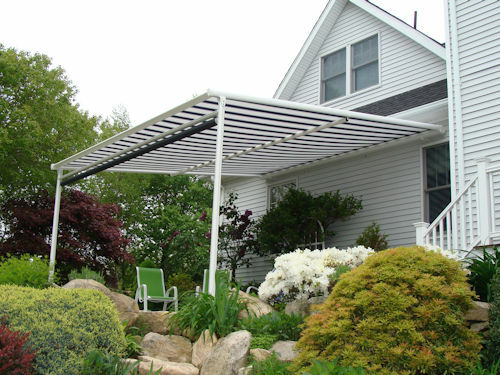 Using the High quality Dickson fabric & Somfy motors these awnings are designed to last. Optional extras include the intelligent sun/wind sensor which will extend or retract depending on the weather conditions. 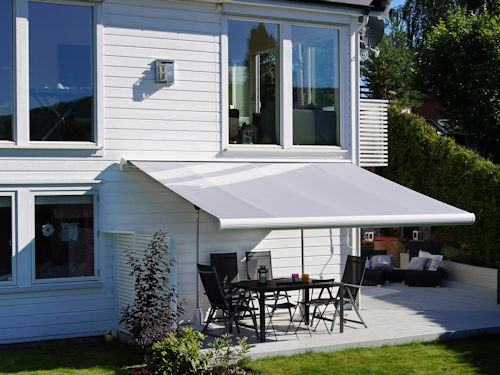 All Awnings come with a 2 year guarantee and 5 years warranty on fabric and Somfy motors. 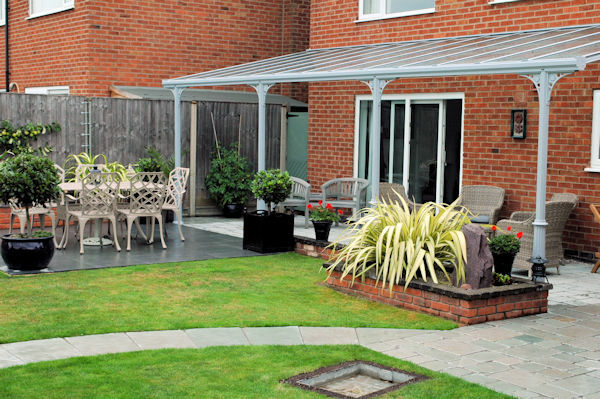 For more information on our products you can visit the website www.aceshelters.co.uk, email us info@aceshelters.co.uk or phone 01704 829404.